Launched in August 2015, the Lightning Experience (LEX) is a new contemporary way to interact with Salesforce and make your data more actionable. For those companies still on the 2015 version of Salesforce (i.e. the Classic interface), it’s time to make the jump and transition to Lightning and bask in the new features and innovations being delivered by Salesforce. Don’t know where to start? Don’t fret, we can help. 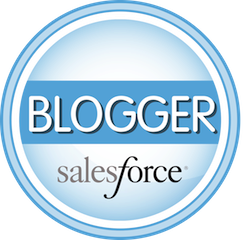 We’ve developed a four step process highlighted in our free ebook and presented at Dreamforce. We work with our clients to ensure the transition to Lightning is both well architected and executed. From design considerations, planning your rollout strategy, tackling outdated AppExchange applications, migrating your Attachments to Files, testing and upgrading legacy code, to training end users – we’ve got you covered. We’ve been implementing Lightning for years and have completed over a hundred LEX projects. Let us bring our expertise and knowledge to your Lightning migration. Contact us today!